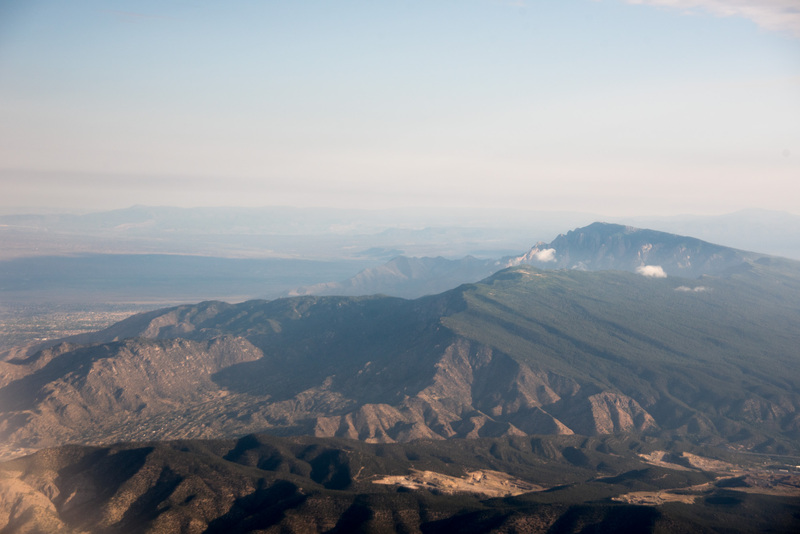 Did you know that Santa Fe is at the highest altitude of any state capitol? Many people think it’s Denver, but Santa Fe is even higher up. I believe it. The mountains aren’t the only thing that leaves me breathless. Flying in to Santa Fe is always beautiful, if bittersweet this time. The occasion brought me and my extended family together to celebrate my grandmother, well, step-grandmother’s life. For this flight I flew in from on American Airlines. Similarly to United, American charges a small fee for checked baggage unless you are one of their elite fliers. I’m just a regular middle-class American, so baggage fees it is this year! Flying American does have its advantages, though. For one, they’re not known for assaulting their passengers. Although Santa Fe is not so far away, the flight does always take almost a full day. You actually have to fly in to Albuquerque with a layover in Dallas and take the Sandia shuttle to Santa Fe. I enjoy stopping over in Dallas. The airport is huge, and a train usually needs to take you to another part of the airport for your connecting flight. Since it’s such a large airport, you’ll find plenty of interesting places to grab a snack. Plus, they have cellphone charging stations at most of the gates. The Albuquerque airport is spaciously Southwestern, with wide ceilings and quiet open areas to keep cool from the sun. New Mexico is in the high desert. The air is very dry, then cooler and warmer than expected even in the summer. Pro tip: bring a wrap or sweater everywhere you go. I actually quite enjoyed the Sandia shuttle to my hotel, Courtyard by Marriott. The shuttle driver was chatty in the morning, and in spite of my blurriness from the red-eye flight I managed to hold a conversation with him, where he told me about all of the latest happenings around the Santa Fe art community and things to do over the weekend. Meow Wolf is the cool new interactive art exhibit, which George R. Martin of Game of Thrones fame helped underwrite. Speaking of, he’s known to frequent an independent theater in town that he owns where they show Game of Thrones episodes on the weekend. Anyway, I was still relieved to sleep as soon as I checked in.